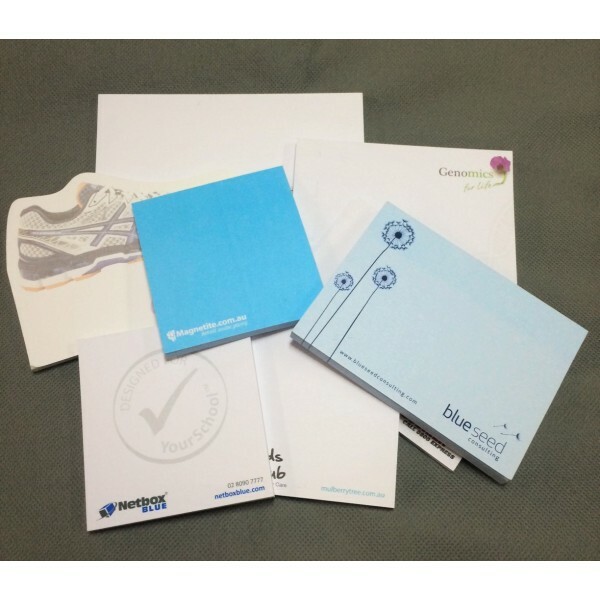 Buy sticky notepads custom printed with your graphics. These measure 70 mm x 100 mm white sticky note and are a perfect marketing item. They also make helpful teaching aids-they can be converted into flash cards or used to create interactive trivia games (post the sticky notes on the chalkboard with questions on the front and the answers written on the back). And for a little recess fun, the sticky notes can be used in the game of Pin the Tail on the Donkey should the donkey's tail suddenly become missing. Teachers can also take advantage of the one-colour print option to imprint their name or any special image. We do, however, recommend that the imprint area be no larger than 50% of the page size so that there is maximum writing space for the end-user. Please ask us for a quote on these alternate options when you make your enquiry. 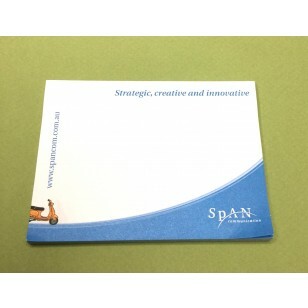 Printing is done in Australia and product(s) can only be delivered to customers within Australia.